My father could be obstinate. Even with all the combined street smarts and book learning of his seven children, we could not figure out how to talk sense to Dad, to convince him that he and Mom should not stay in their house anymore – at least not without extra help to take care of each other. Then one day, out of the blue, Dad decides to sell the house and move with Mom to a retirement complex. Before we knew it, they uprooted from the area where he and Mom grew up and courted and raised a family and had been retired for more than 20 years. In their mid-80s, they downsized and relocated to another part of the state closer to where their kids lived. Dad didn’t explain. But months later, an off-hand comment one of us overheard suggests that he made the move because he felt it was best for Mom. I thought of my dad as I paged through the February National Geographic. A pictorial tells of widows in India, Uganda and Bosnia-Herzegovina who lost their dignity when they lost their husbands. In some parts of the world, widows are stigmatized, impoverished and brutalized. According to the United Nations, nearly half of the estimated 259 million widows in the world live in poverty. About a third are physically abused. In the U.S., a little more than a fifth of all widows have incomes below the poverty level, according to a Census Bureau report. That’s more than double the rate for married women. * Of 14.6 million widows and widowers, 77.6% are female. 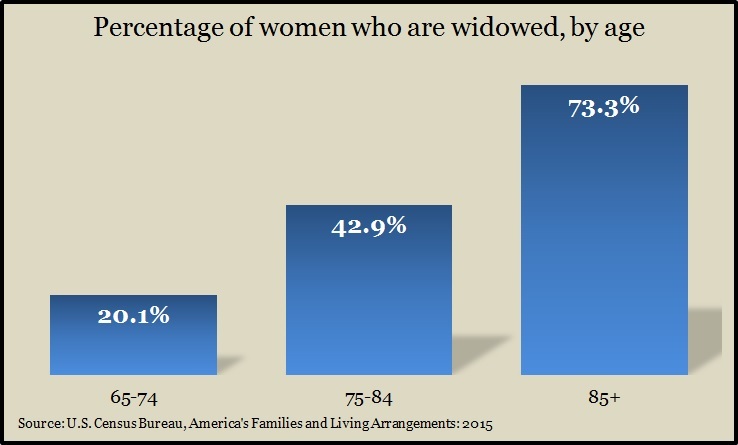 * Of women 65 and older, 34.6% are widows. “Of all the factors associated with poverty in old age, the most critical is to be a woman without a husband,” says a study titled “Why Are Widows So Poor?” from the Center for Retirement Research, at Boston College. My oldest brother and sister have reminded me occasionally in the last few years how well Dad had taken care of Mom. Dad died not even two years after they sold their house and relocated. He left Mom in a better place, with family closer and sufficient provisions to help her enjoy the rest of her life. Dad had worked at the same paper mill for more than 40 years and salted away what he could with seven children to support. Over the years, he made relatively simple moves that allowed for my mom to live out her days independently, comfortably and without financial worries. His example is worth sharing – and amplifying. Take care of yourself. Being healthy and active not only allows longer and richer time together, it can help minimize the sorts of protracted illnesses that can deplete resources you’d rather leave for your survivor. Plan retirement. Whether you’re still saving for retirement or you’re in the midst of it, be sure your investments are allocated to both meet your living expenses and cover the needs of your family after you are gone. Include Social Security and pension benefits in your planning. Consider insurance. If your current assets could not sufficiently support your family in your absence, look at insurance to help cover the difference. See if you’re eligible for disability insurance and life insurance through your employer. Anticipate medical costs. Besides taking care of yourself, plan ahead for how you might pay for medical emergencies and extended illnesses. Learn about Medicare and what you need to supplement it. Determine whether you’re a good candidate for long-term health insurance. Prepare. Update the beneficiaries on all your accounts. Make a will. Designate a power of attorney both for finances and health care to represent you if you’re incapacitated. (Consider providing for some compensation for that person.) Arrange for your funeral. Done enough in advance and with the right mindset, these seemingly sullen tasks can be creative and cathartic. Communicate. Organize your files and leave explicit instructions on where to find them and whom to contact in an emergency. Get help. On any of these matters, involve professionals you trust to know what they’re doing and to work for your best interest. Share. Insist on your spouse’s participation as you make plans. 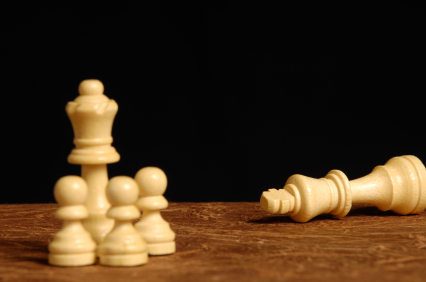 Go together to meet your investment advisor, your tax preparer, your estate attorney. At the very least, your partner will know whom to turn to for help when you are gone. Dad had been with my mom since they were teenagers. He nearly froze his feet hitchhiking home to see her one weekend when he was planting trees in the Chequamegon-Nicolet National Forest for the Civilian Conservation Corps. When he was in the Army, in the Philippines, during World War II, he wrote to her every day. They were content with life’s simpler blessings, but within their means, Dad and Mom managed to travel and dine and dance and make much of their days together, including 67 years of marriage. Statistically, we know, women tend to live longer than men the same age. Dad was 13 months older than Mom, but the actuarial tables suggested Mom’s life expectancy was two to four years longer. Dad allowed for that. He took steps to provide for her as his widow. As hard as it must have been for him to sell his house, scrap his stuff and surrender his independence, he did that, too. He felt it was best for Mom. Mom left us last summer, missing Dad by seven and a half years. In that time, she had enough resources to live comfortably, to be part of scores of family functions, to welcome seven additional great-grandchildren. In the end, Mom had money left over to share with her children and grandchildren. She even covered the bar tab at her funeral. That would have pleased Dad.